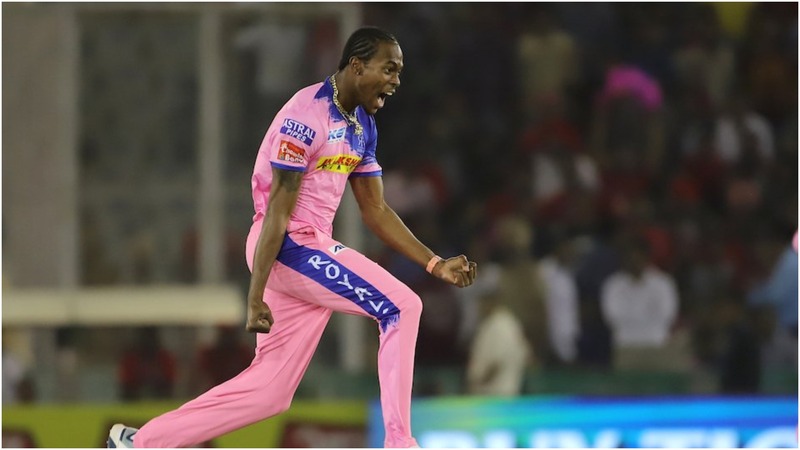 Jofra Archer returned outstanding figures of 3-15 the day before England's Cricket World Cup squad announcement, but Rajasthan Royals still suffered a 12-run defeat to Kings XI Punjab in the Indian Premier League. Archer could potentially be included in the England squad for the first time this week and he certainly made an impression in his four overs on Tuesday, albeit in vain. KL Rahul made 52 as, despite Archer's best efforts, the Kings XI racked up a healthy total of 182-6. In reply, Jos Buttler failed to truly fire, falling for 23 in the fifth over to ensure he did not face Ravichandran Ashwin, the India bowler who dismissed him via a 'Mankad' when these two sides met earlier in the competition. Ashwin (17 not out from four balls and 2-24) was ultimately named man of the match as the Royals, who left out Steve Smith, were limited to 170-7 despite 50 from Rahul Tripathi and Stuart Binny striking 33 not out from 11 deliveries at the death. Archer, the centre of much attention this week, was beaten on the boundary in the second over as Chris Gayle hit the first of two successive sixes off Jaydev Unadkat. The Royals were made to pay for Archer's poor positioning as Gayle raced to 30, but it was the England prospect who snared a key wicket when the big-hitter edged behind. Archer went on to catch Mayank Agarwal off Ish Sodhi for 26, yet the Kings XI were now firing on all cylinders and there appeared to be no slowing the home side. Chris Gayle tries to defend another one, but ends up edging it behind. The Universe Boss walks back after giving us a good start. A partnership of 85 between Rahul and David Miller (40 off 27) preceded a frenetic conclusion to the Kings XI innings. Archer looked set to steal the show when he removed Nicholas Pooran (5) and Mandeep Singh in a superb 19th over, which went for just three runs. Dhawal Kulkarni then picked up the wicket of Miller at the start of the final set of six, but 18 runs came from the remainder of the over thanks to Ashwin's timely cameo. Buttler went too early to face a single delivery from Ashwin, but his opening partner Tripathi made a fifty and the Royals scored at a steady rate. However, by the time Ashwin removed Tripathi in the 16th over, the run-rate had spiralled and Rajasthan's remaining batsmen were left with too much to do. Binny did his best to keep his side in the hunt, striking three sixes and two fours, but Mohammed Shami comfortably defended a target of 23 in the final over.